Primary Inspired: Class T-shirt Ideas! drew their own portraits and they're all imprinted on the shirt? So darn cute!! as well! Earlier this month, I uploaded my blog logo image & look how perfectly it came out! I love it! The colors are perfect! Aaaand...the shirt is so comfortable! That's me on the right there wearing my shirt. 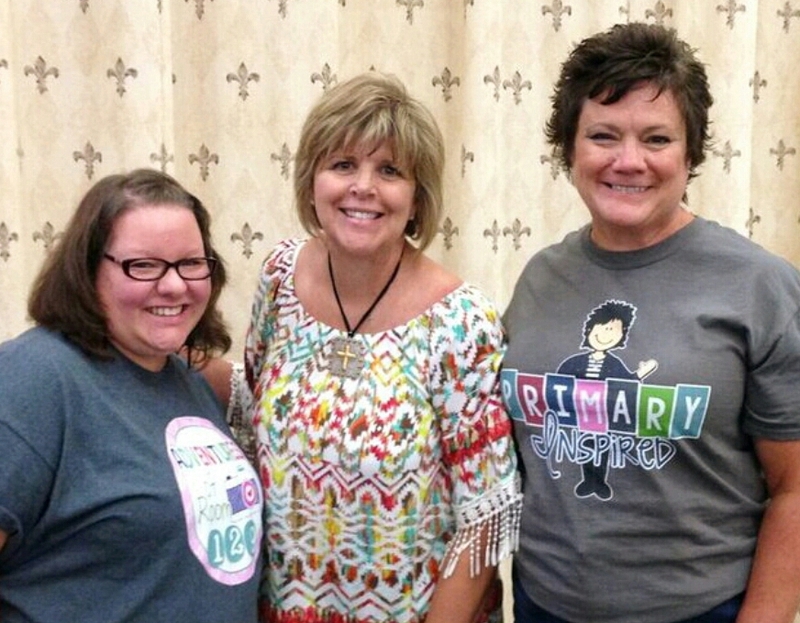 By the way, my sweet friend Ciera from Adventures of Room 129, on the left, also is wearing her shirt from A+ Images. And in the middle of course, is the amazing Kim Adsit. 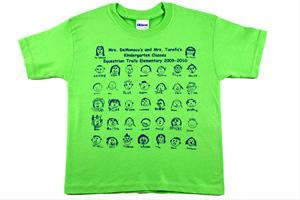 I am super excited about having my class make Class Faces shirts next year! How cool will it be to have them to wear on field trips & just for special days at school?! And don't forget...you can upload an image too. Rather than having each child draw a portrait....you could have your class design one image to use. Maybe a class motto or mascot? The possibilities are endless! I'd love to hear more ideas! Pop over to A+ Images, take a look around, & let me know what other ideas you have!